On June 27 and 28, the Company will present two Brown classics, “Set and Reset” and “If you couldn’t see me,” as well as the proscenium version of, “I’m going to toss my arms—if you catch them they’re yours,” at Bard College’s Richard B. Fisher Center for the Performing Arts in Annandale-on-Hudson. Brown’s oft-used collaborator Robert Rauschenberg designed the set, costumes and lighting for her luminous “Set and Reset.” The music, “Long Time No See,” is an original score by Laurie Anderson. Rauschenberg also designed the costumes, set, lighting (with Spencer Brown) as well as the music for “If you couldn’t see me.” “I’m going to toss my arms—if you catch them they’re yours” is set to music by Alvin Curran and SAIE; Burt Barr designed the sets, Kaye Boyce, the costumes, and John Torres, the lighting. Off stage, and spanning the entire summer, the LMCC presents “Embodied Practice and Site Specificity,” a major historical exhibition including film and photographs by 12 different photographers and filmmakers, as well as some of the equipment used in Brown’s early dances. The exhibition was created to celebrate Brown’s radical site-specific works from the ‘70’s and ‘80’s and her choreographic transition to dances created for the proscenium stage. The seminal influence she has had will be further explored at a talk by Trisha Brown scholar, Susan Rosenberg, on June 22. The exhibition, which opened May 22 and runs through September 28, takes place on Governors Island. Tickets for events at LMCC’s Arts Center at Governors Island are free; no reservations are needed. Travel directions are available at http://www.govisland.com/html/visit/directions.shtml. Tickets for events at Pier 15 are free; no reservations are needed. Tickets for the Bard College performances are $25-$60 and can be purchased by visiting www.fishercenter.bard.edu or calling the box office at (845)-758-7900. Travel directions are available at http://fishercenter.bard.edu/visit/directions/. OUTSIDE OF NEW YORK: The company’s packed schedule for the coming twelve months includes performances at: Florence Dance Festival Florence, Italy (July 5 & 7); Athens & Epidaurus Festival 2014 Athens, Greece (July 11& 12); Kunstbau im Lenbachhaus Munich, Germany (July 13-17); Les Quinconces – L’Espal Le Mans, France (September 23); Centre Nationale de la Danse Contemporaine Angers, France (September 25); ONYX La Carrière St. Herblain, France (September 27); Théâtre Anne de Bretagne Vannes, France (September 30); Scène Nationale La Roche-sur-Yon La Roche sur Yon, France (October 2); Centre Culturel Cesson Sévigné, France (October 4); 30CC Leuven, Belgium (October 8 &10); Fall for Dance Festival New York, NY (October 14-15); Melbourne Festival Melbourne, Australia (October 22-26); La Filature Mulhouse, France (December 16); Is Sonat Istanbul, Turkey (December 20); Théâtre National de Bretagne Rennes, France (January 28-31); University of Michigan Ann Arbor, MI (February 21-22); OZ Nashville, TN (May 12-16); Espaces Pluriels Pau, France (April 14); Navarra Museum Pamplona, Spain (April 17). Trisha Brown (Founding Artistic Director and Choreographer) was born and raised in Aberdeen, Washington. She graduated from Mills College in Oakland, California in 1958; studied with Anna Halprin; and taught at Reed College in Portland, Oregon before moving to New York City in 1961. Instantly immersed in what was to become the post-modern phenomena of Judson Dance Theater, her movement investigations found the extraordinary in the everyday and challenged existing perceptions of performance. Brown, along with like-minded artists, pushed the limits of choreography and changed modern dance forever. In 1970, Brown formed her company and explored the terrain of her adoptive SoHo making Man Walking Down the Side of a Building (1970), and Roof Piece (1971). Her first work for the proscenium stage, Glacial Decoy (1979), was also the first of many collaborations with Robert Rauschenberg. Opal Loop/Cloud Installation #72503 (1980), created with fog designer Fujiko Nakaya, was followed by Son of Gone Fishin’ (1981), which featured sets by Donald Judd. The now iconic Set and Reset (1983), with original music by Laurie Anderson and visual design by Robert Rauschenberg, completed Brown’s first fully developed cycle of work, Unstable Molecular Structures. This cycle epitomized the fluid yet unpredictably geometric style that remains a hallmark of her work. Brown then began her relentlessly athletic Valiant Series, best exemplified by the powerful Newark (1987) and Astral Convertible (1989) – pushing her dancers to their physical limits and exploring gender-specific movement. Next came the elegant and mysterious Back to Zero Cycle in which Brown pulled back from external virtuosity to investigate unconscious movement. This cycle includes Foray Forêt(1990), and For M.G. : The Movie (1991). Brown collaborated for the final time with Rauschenberg to create If you couldn’t see me (1994), in which she danced entirely with her back to the audience. Brown turned her attention to classical music and opera production, initiating what is known as her Music Cycle. Choreographed to J.S. Bach’s monumental Musical Offering, M.O. (1995) was hailed as a “masterpiece” by Anna Kisselgoff of the New York Times. Brown continued to work with new collaborators, including visual artist Terry Winters and composer Dave Douglas, with whom she created El Trilogy (2000). She then worked with long-time friend and artist, Elizabeth Murray to create PRESENT TENSE (2003) set to music by John Cage. Brown stepped into the world of opera to choreograph Carmen (1986) and again to direct Claudio Monteverdi’s L’Orfeo (1998). Since then, Brown has gone on to direct four more operas, including, Luci Mie Traditrici (2001), Winterreise (2002), and Da Gelo a Gelo (2006) and most recently, Pygmalion (2010). Continuing to venture into new terrain, Brown created O zlozony/O composite (2004)for three étoiles of the Paris Opera Ballet, working with long-time collaborators Laurie Anderson and Jennifer Tipton. Forays into new technology created the witty and sophisticated I love my robots (2007), with Japanese artist and robotics designer Kenjiro Okazaki. Her work with Pygmalion produced two dance pieces L’Amour au théâtre(2009) and Les Yeux et l’âme(2011). Brown’s latest work, I’m going to toss my arms- if you catch them they’re yours (2011), is a collaboration with visual artist Burt Barr, whose striking set is dominated by industrial fans. The original music is by Alvin Curran. As well as being a prolific choreographer, Brown is an accomplished visual artist, as experienced in It’s a Draw (2002). Her drawings have been seen in exhibitions, galleries and museums throughout the world including the Venice Biennale, The Drawing Center in Philadelphia, The New Museum, White Cube, Documenta XII, Walker Art Center, Centre Georges Pompidou, Mills College, Musée d’art Contemporain de Lyon, and Museum of Modern Art. Brown is represented by Sikkema Jenkins & Co. in NYC. Trisha Brown has created over 100 dance works since 1961, and was the first woman choreographer to receive the coveted MacArthur Foundation Fellowship “Genius Award.” She has been awarded many other honors including five fellowships from the National Endowment for the Arts, two John Simon Guggenheim Fellowships, Brandeis University’s Creative Arts Medal in Dance, and she has been named a Veuve Clicquot Grande Dame. In 1988, Brown was named Chevalier dans l’Ordre des Arts et Lettres by the government of France. In January 2000, she was promoted to Officier and in 2004, she was again elevated, this time to the level of Commandeur. She was a 1994 recipient of the Samuel H. Scripps American Dance Festival Award and, at the invitation of President Bill Clinton, served on the National Council on the Arts from 1994 to 1997. In 1999, Brown received the New York State Governor’s Arts Award and, in 2003, was honored with the National Medal of Arts. She had the prestigious honor to serve as a Rolex Arts Initiative Mentor for 2010-11 as well as receiving the S.L.A.M. Action Maverick Award presented by Elizabeth Streb, and the Capezio Ballet Makers Dance Foundation Award in 2010. She has received numerous honorary doctorates, is an Honorary Member of the American Academy of Arts and Letters, and was awarded the 2011 New York Dance and Performance ‘Bessie’ Lifetime Achievement Award. In 2011, Brown was honored with the prestigious Dorothy and Lillian Gish Prize for making an “outstanding contribution to the beauty of the world and to mankind’s enjoyment and understanding of life.” In 2012, Brown became a United States Artists Simon Fellow and received the first Robert Rauschenberg Award from the Foundation of Contemporary Arts. She was recently honored with the BOMB Magazine Award. Carolyn Lucas (Associate Artistic Director) attended North Carolina School of the Arts and graduated with a BFA in dance from SUNY Purchase before joining Trisha Brown Dance Company in 1984. Lucas originated roles in some of Brown’s most acclaimed works including Lateral Pass (1983), Carmen (1986), Newark (Niweweorce) (1987), Astral Convertible (1989), Foray Forêt (1990), and Astral Converted (1991) and Another Story as in falling (1993). Lucas’ dancing has been described in the New York Times as “affecting in her softly penetrating attack” and “especially luminous.” In 1993, Brown appointed Lucas as her choreographic assistant, a position Lucas held for twenty years before being named associate artistic director in 2013. As choreographic assistant, Lucas played an integral role in Brown’s creation process in dance and opera, working closely alongside Brown for pieces including If you couldn’t see me (1994), its revision to the duet You can see us (1995) with Bill T. Jones and later Mikhail Baryshnikov, Monteverdi’s Orfeo (1998), Luci Mie Traditrici (2001), Geometry of Quiet (2002), Da Gelo a Gelo (2006) with Salvatore Sciarrino, It’s a Draw (2002), Winterreise (2002) with Simon Keenlyside, PRESENT TENSE (2003), O Zlozony/O Composite (2004) with etoiles from the Paris Opera Ballet, Rameau’s Pygmalion (2010) with William Christie and Les Arts Florissants and Brown’s final work for the Company, I’m going to toss my arms- if you catch them they’re yours (2011), which premiered at Theatre National de Chaillot in Paris. In addition to directing company rehearsals, Lucas has led projects for companies and institutions around the world, including The New School in NYC, P.A.R.T.S. in Brussels, Paris Opera Ballet and White Oak Dance Project. She was one of the first instructors Brown sent to P.A.R.T.S. to construct a Set and Reset/Reset, whose collaborative, interdisciplinary learning process is now a cornerstone of the Brown Company’s education program. Lucas is applying her firsthand knowledge of two decades of documenting Brown’s work for the digital Trisha Brown Archive. She studies Tai Chi with Maggie Newman and Alexander Technique with June Ekman. Diane Madden (Associate Artistic Director) attended Hampshire College in Massachusetts before joining the Trisha Brown Dance Company in 1980. Since then, Madden has danced, directed, taught, studied and reconstructed Brown’s work for nearly 35 years. A much lauded performer, Madden has been described in the New York Times as “one of those dancers who can make magic out of almost any task.” She has originated roles in works including Son of Gone Fishin’ (1981), Brown’s masterwork Set and Reset (1983), for which she was recently honored, along with the full original cast, by Movement Research in 2012, Lateral Pass (1985), Carmen (1986), Newark (Niweweorce) (1987), Astral Convertible (1989) for which she was awarded a New York Dance and Performance “Bessie” Award, Foray Forêt (1990), Astral Converted (1991), the “running solo” in For M.G. : The Movie (1991), Another Story as in falling (1993), Yet Another Story as in falling (1994), M.O. (1995) set to Bach’s Musical Offering, Twelve Ton Rose (1996), Accumulation with Talking Plus Repertory (1997), Monteverdi’s Orfeo (1998) and Jean-Philippe Rameau’s Pygmalian (2010), which flying sequences she helped develop and perform, Canto/Pianto (1998),and the Interlude solos Rage and Ladder in El Trilogy (2000). She has also performed in Planes (1968), Floor of the Forrest (1971), Walking on the Wall (1971), Locus (1975), Line up (1976), Glacial Decoy (1979) and Opal Loop (1980). Madden has served as Brown’s personal assistant and was the rehearsal director from 1984-2000. She continued to teach and direct special projects for the Company before serving again as rehearsal director from 2010 until 2013, when she was named associate artistic director. Madden enjoys keeping Brown’s rich range of choreography alive on stages and alternative sites worldwide through the talents of dancers both within the company and from internationally known schools and companies such as Lyon Opera Ballet, Scottish National Ballet, Paris Opera Ballet, P.A.R.T.S. (Brussels) and NYU’s Tisch School of the Arts. Madden has developed an approach to teaching that weaves anatomically grounded technique with improvisation, composition and performance skills. In addition to her own performance work in collaborative improvisational forms, she is greatly influenced by her study and practice of Aikido with Fuminori Onuma. Madden is the recipient of two Princess Grace Awards, the first in 1986 and the second for sustained achievement in 1994. 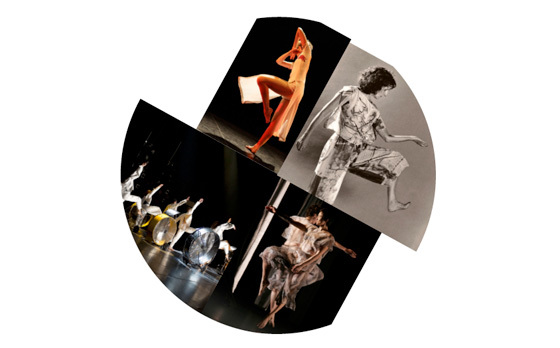 Trisha Brown Dance Company gratefully acknowledges the generous support of The Andrew W. Mellon Foundation, Booth Ferris Foundation, Dedalus Foundation, The Fan Fox and Leslie R. Samuels Foundation, The Gladys Krieble Delmas Foundation, The Harkness Foundation for Dance, Mid Atlantic Arts Foundation/USArtists International, National Film Preservation Foundation, The New York Community Trust, Robert Rauschenberg Foundation, The Shubert Foundation, the National Endowment for the Arts, the New York State Council on the Arts with the support of Governor Andrew Cuomo and the New York State Legislature, the New York City Department of Cultural Affairs in partnership with the City Council and extends its sincere thanks all of the Company’s individual donors.